There are only 5 days left for the launch of the All New HTC One but leaksters and rumor mongers can’t get enough of the device. 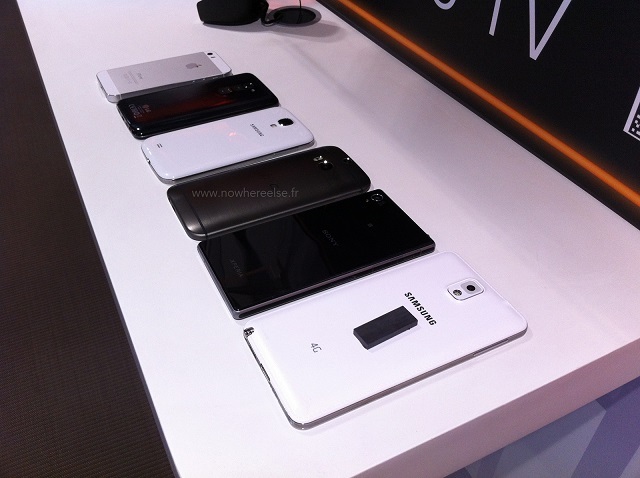 Latest pictures of the All New HTC One show us the upcoming HTC flagship along with current flagships from the other makers. 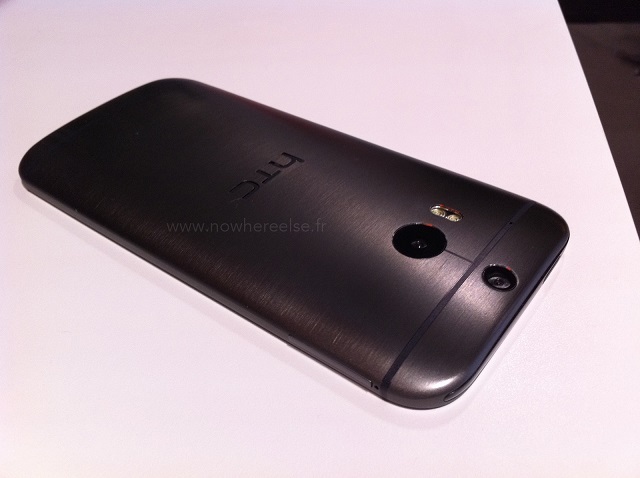 The New HTC One in the pictures is a dummy unit and not the real thing but as with dummy units, this is how the real thing should most probably look and feel. 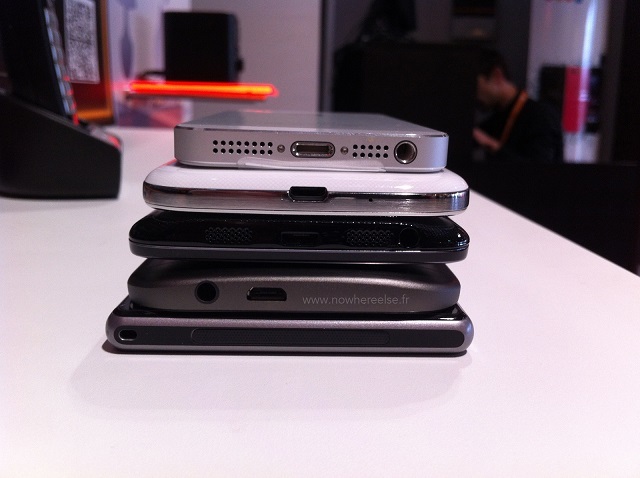 We get to see the new HTC One compared with an Apple iPhone 5s, Samsung Galaxy S4, Samsung Galaxy Note 3, LG G2 and Sony Xperia Z1. 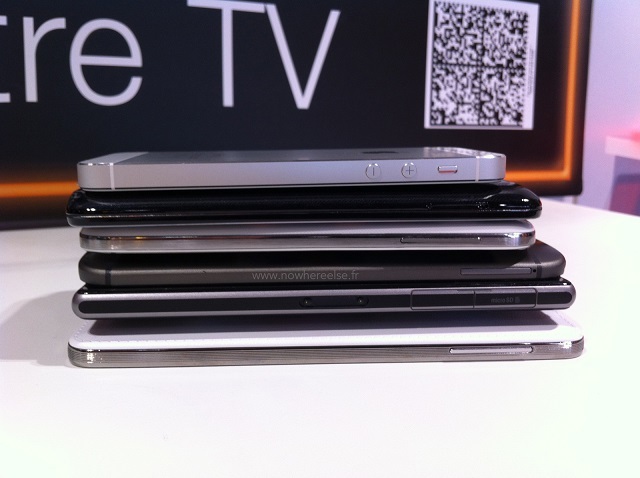 We already know pretty much everything about the New HTC One. 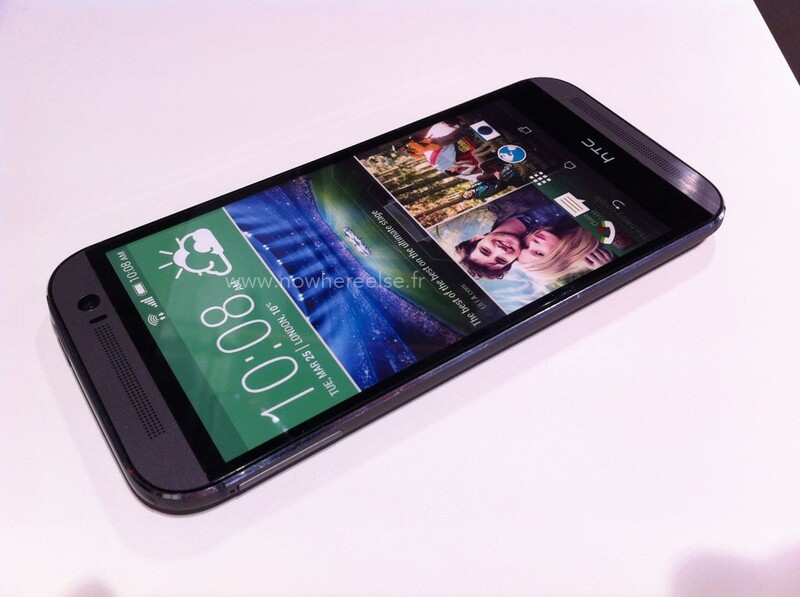 We have had press renders, detailed specs, live pictures, hands-on video and what not for the All New HTC One. Recently, the device got certified by China’s Tenaa, which means the device should release in a couple of weeks after its official announcement and that’s what rumors have suggested. We hope HTC manages to somehow surprise us with something in the New HTC One but it seems highly unlikely now after so many leaks. The official announcement isn’t far away and come March 25, we’ll tell you all the details you ought to know regarding the All New HTC One so stay tuned!